Office Calendar is a suitable alternative to Microsoft Exchange which allows you to share your MS Outlook calendar information, emails, contact and distribution lists and more. While not quite the same league as some of the other programs offered as an alternative to MS Exchange, it is very easy to install and quite effective at managing your information. 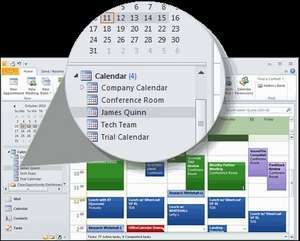 Once you've completed the installation for Office Calendar, you can easily set it up with the preferences menu. It can quickly and easily synchronize your Office information and give you easy access to sharing the information throughout the office with your colleagues. OfficeCalendar for Outlook 11.5.0.0 is a shareware program and can be used as a demo to try the software until the free trial period has ended. A full version of the program is available after the trial period ends. For security reasons, you should also check out the OfficeCalendar for Outlook download at LO4D.com which includes virus and malware tests. Additional screenshots of this application download may be available, too. 4.14 out of 5 based on 7 ratings.